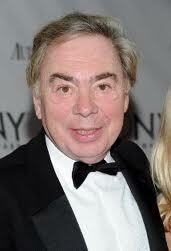 Updated 18th March: ITV has just recorded a 90 minute special to celebrate Andrew Lloyd Webber's 40 years in the business. It was hosted by Michael Ball and featured Nicole Scherzinger (singing Don't Cry For Me Argentina from Evita), The Bodyguard's Heather Headley (Cats: Memory) Myleene Klass (Bombay Dreams:Shakalaka Baby), Samantha Barks (Evita: Another Suitcase In Another Hall), Sierra Boggess (Phantom:All I Ask of You duet with Michael Ball), Kimberley Walsh and Denise Van Outen (duet Tell Me On A Sunday: Take That Look of Your Face with Strictly's Pasha dancing) and Il Divo (finale appearance) performing special versions of some of Andrew’s greatest hits including songs from Cats , The Phantom of the Opera, Evita, Jesus Christ Superstar (Tim Minchin, Ben Forster, Chris Moyles and Melanie C) and Tell Me On A Sunday. There was also a performance by classical guitarist Milos from Andrew’s new West End musical Stephen Ward which is about the Profumo scandal. The cameras went behind the scenes film Andrew’s working life speaking to friends and colleagues, including Simon Cowell, Michael Caine, Alex Ferguson and David Essex. The finale featuredMichael Ball singing Love Changes Everything accompanied by a chorus of children from London’s Highbury Grove School. Michael also interviewd Andrew and asked his followers on Twitter to send him some questions on what they would like to know. During this Q & A session ALW confirmed that Love Never Dies will return. The show will be televised on Easter Sunday (March 31st) from 6:30-8:00 pm. Filming is this weekend at Fountain Studios, Wembley. As the post says ... Easter Sunday at a time to be announced. Memory (not Midnight) is the ballad from CATS. Should know that as worked on show for years! Many thanks for pointing that out. Duly amended. Sorry, didn't mean to sound rude. Duly amended and many thanks.